Don’t know about you but when I do something for someone and I don’t get a little thank you back it drives me crazy. Like when you’re driving and you let someone into your lane and they don’t give you a blink of their lights or a wave. Or when you open a door for someone in the corridor at work and they just fly past you with their phone stuck to their ear unaware of you or the small act of goodwill you’ve just given them. What really gets my back up though, and to be honest it’s a missed opportunity for so many companies, is when we place large regular business with a company and they never ever say thank you. We order, they deliver, and then nothing, not even a call to see how things went or a packet of sweets in the post. Do you know the main reason why people stop buying from a supplier? Over 80% of people don’t go back to a supplier when they need their services because they don’t feel valued or appreciated. 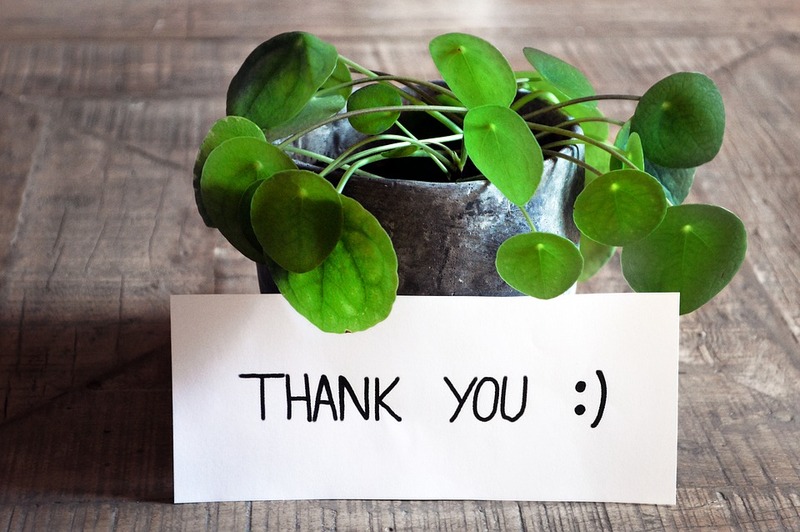 So when was the last time you thanked your top customers? If the answer is never or hardly ever, you’re probably losing a fortune in repeat business. Here’s something you can do right now. Have a look at everyone who’ve used your services or products in the last year. Choose your top 10% or 20%. You’ll likely find they contribute most of your turnover and profit. And then send them a little something in the post as a thank you and also to remind them about you. It’s quick and easy to do and you’ll be amazed at the response you’ll receive (trust me, we do it all the time). Oh and if you’d like a hand finding that perfect thank you gift decorated with your company name and message simply click this link and pop your details. My team and I are more than happy to help out. For a wide range of promotional products available, go here.